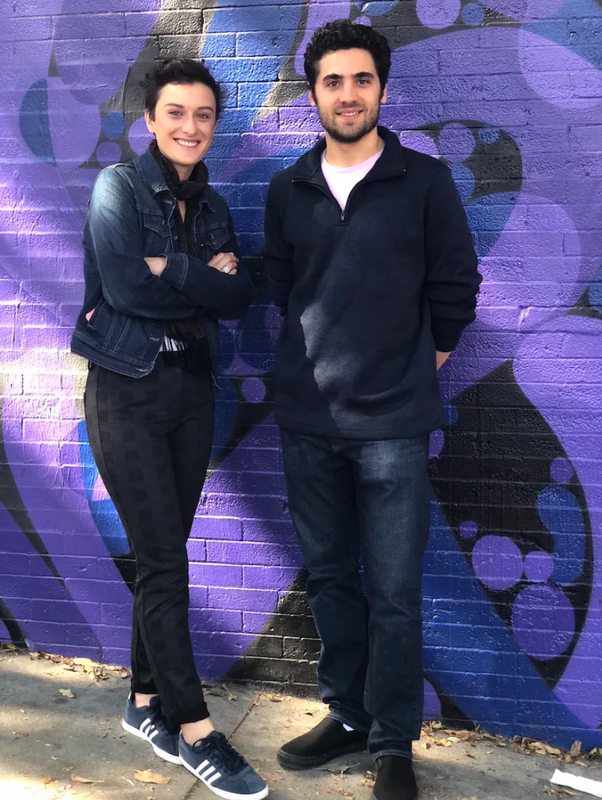 To get things started with 1517 Fund II, we’re thrilled to announce we’re working with Camille Richman and Daniel Goodman and the rest of the team at Hamama. Back when they were just getting started, Camille and Daniel were tinkering with building a full robot gardener. That was proving difficult to do at a reasonable cost, but along the way, they invented a novel technology to grow microgreens in a kitchen or anywhere else indoors using only ambient light and water. Danielle Strachman tells us why she loves Hamama via a video recording on Loom. They invented a new kind of seed packaging called a Seed Quilt, which combines seeds and grow media in a mess-free way and controls watering, humidity, and light access for growing microgreens. You pour water in a tray, soak the quilt, and in a week to ten days you have a small crop of microgreens to harvest. The Seed Quilt keeps seeds and greens watered without any additional tending, and it removes the hassle of dealing with loose dirt. Users can harvest these microgreens — some of us actually graze on them while we work— when they are their most nutrient-dense. With a monthly subscription, Hamama sends new seed quilts holding a variety of seed choices like broccoli, radish, a salad mix, and wheatgrass. Our decision to invest in Hamama follows much of what we discuss in the Anti-Pitch Playbook. Though we don’t do much direct-to-consumer facing products, we have been extremely impressed with the team’s growth through feedback and adaptation to get serious traction. We’ve seen how they make decisions and face challenges over the course of a year. There’s a serious market here when we think of the demand for nutritious food and the kitchen of the future, which we’re excited to see Hamama build towards. And they’ve made something delicious that people want (they have customers in all 50 states!). Welcome to the 1517 portfolio, Team Hamama! Interested in getting our feedback on your startup, product, or idea? Reach out.